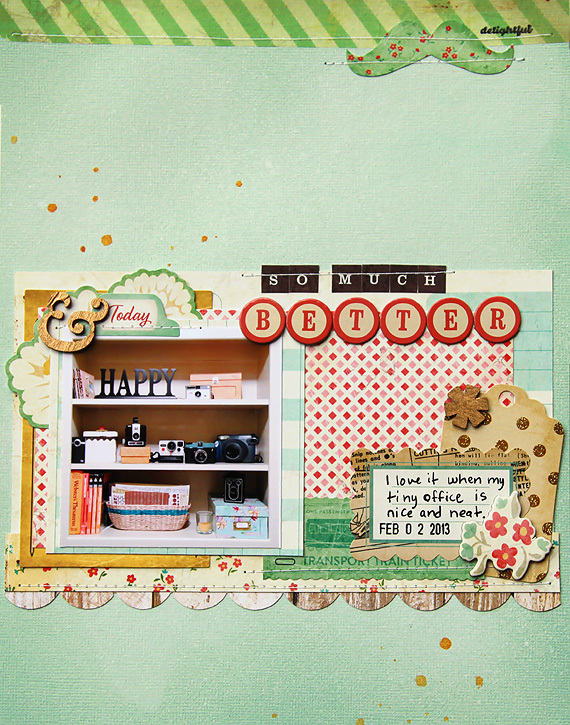 I have a layout to share today made with the Crate Paper DIY Shop collection. It's a photo of the shelf in my tiny office - the room where I keep my supplies and my computer, but I don't scrapbook in there. It's too little and there are no windows so my scrapping has to be done at the kitchen table. 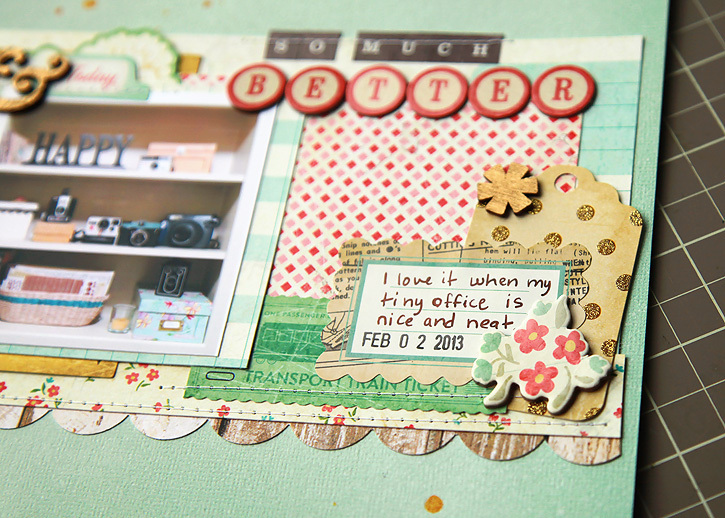 I wanted to do a quick layout to remind myself how much more pleasant it is when everything is neat and in it's place. It makes working on the computer much nicer! 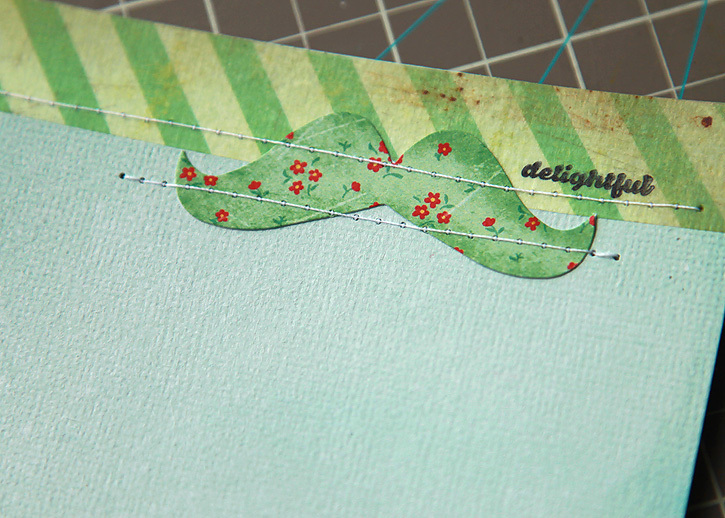 I didn't even think I liked the mustache trend, but when I saw that cute green floral one, I knew I had to use it for something!! Some of the products are linked up below. 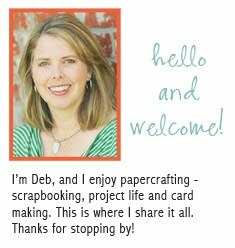 Gorgeous page, Deb! I LOVE how you misted the background! The misted background paper is very nice. I would have never guessed you used a gold leaf pen on the wood &. 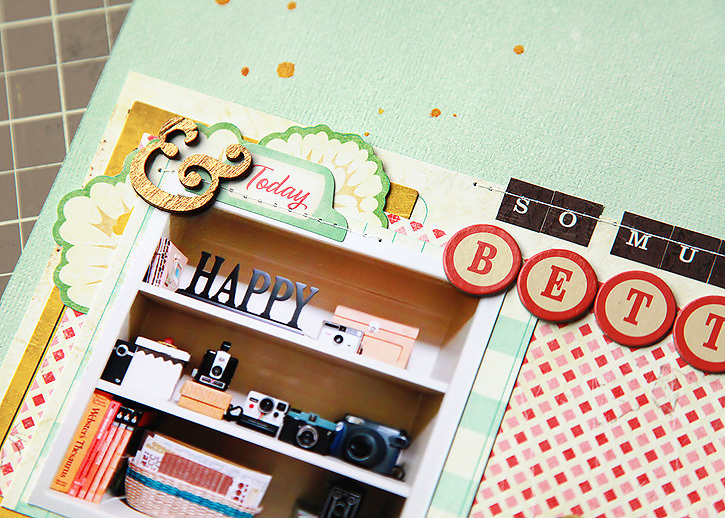 I bet this layout is even more beautiful in person.